Might as well go big or stay home. 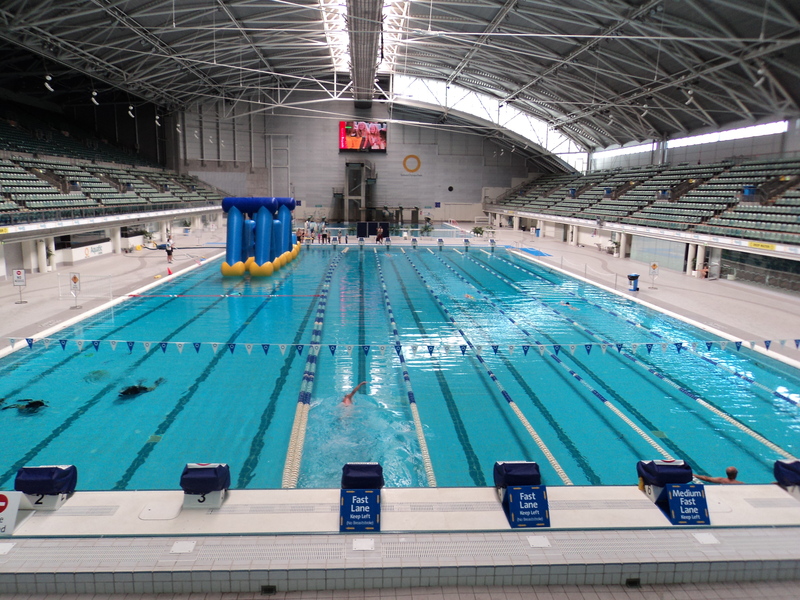 Yesterday we headed to the Sydney Olympic complex. It’s huge, everything is in one place, all the venues. Easy to get around and close to where I’m currently staying. Inspired by the legends who swam there before me, and after playing with the kids for 90 minutes in the pool, I went for a bit of a workout. It dawned on me during this workout. Not having kids, that you have to keep from drowning all the time and who insist on being throw over and over and over and over, is like cheating. It was all I could do to swim decently. My stroke was falling apart faster then a F1 race car that slammed into a concrete wall. My arms and chest felt like someone had pummeled me. Having kids is hard work, work that I should not under take I’ve decided. It’s only 9:30am and I’m already thinking it’s nap time because I’m still wiped out. My sister thinks we should take the kids to the park. Unbelievable. Mom, Dad, I’m sorry for being a difficult kid. It never dawned on me then that pushing the boundaries was making life more difficult for you guys. My bad. Enough of that, though. The Aquatics center is huge, awesome really I’m just at a loss of words as to how cool this place is. Kids area with multiple slides, buckets dropping water on the kids, multiple hot tubs. An 8 lane LCM (long course meter) warm up/down pool. 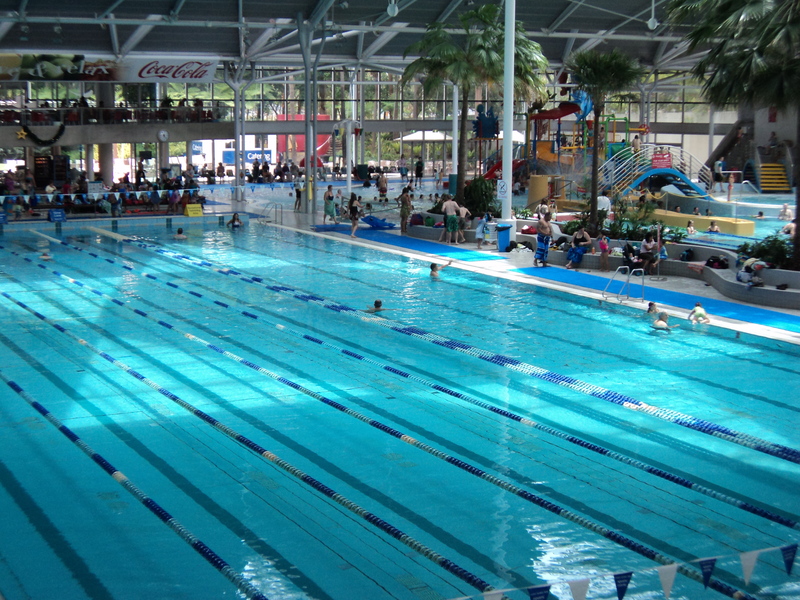 A 10 lane 50 LCM competition pool. 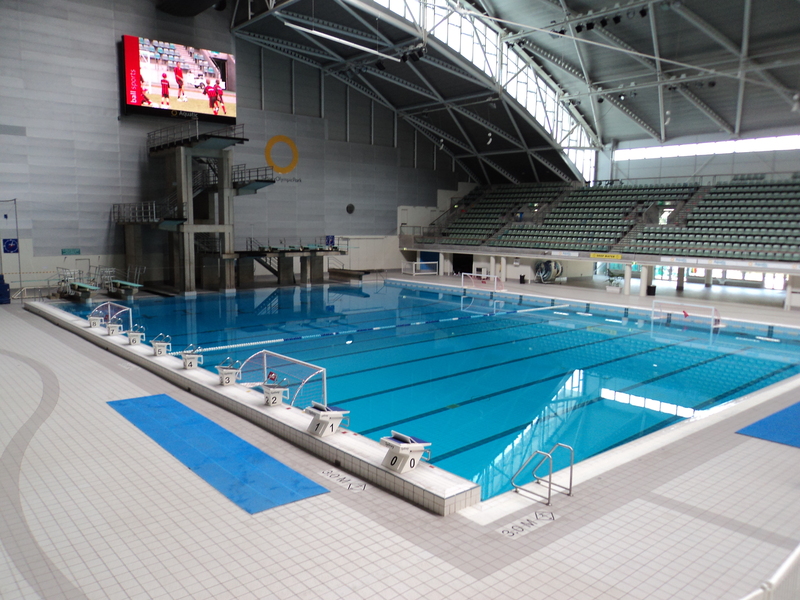 A diving well/water polo pool. A fitness center with treadmills. So when words fail, let pics take over. Sydneyer’s I’m pretty jealous. This is the best done aquatic center I’ve ever been to in my life. 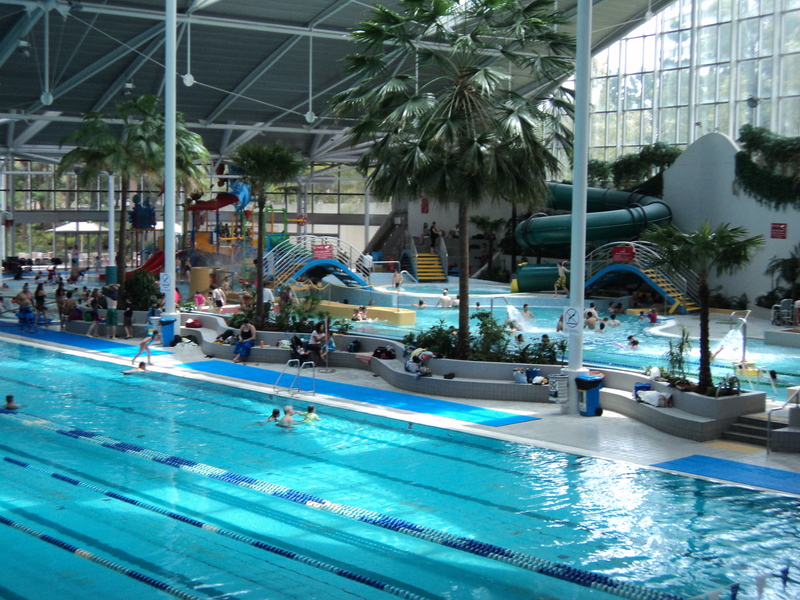 As a former swim coach, I’ve been to a ton of aquatic centers over the years. Hate to break it to you but your still a difficult kid!